GEODIS, the logistics partner of Maxi Sport, has opened a new dedicated storage space at its Landriano warehouse in order to ensure end-to-end delivery for the sportswear retailer throughout Italy. This new storage space of 5,000 sq m is located at the heart of the Landriano site. Approximately one third of the 800,000 pieces of sportswear handled each year is sold via e-commerce orders from the maxistore.com online site. Furthermore, GEODIS provides a more flexible supply chain management to Maxi Sport to ensure management of seasonal peaks. 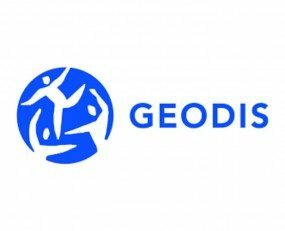 “Supporting the business of a leading customer like Maxi Sport drove us, once again, to search for new end-to-end solutions, especially in this sector where the care for the final product and smart logistics management are key elements” – says Francesco Cazzaniga, Contract Logistics Managing Director for GEODIS in Italy.